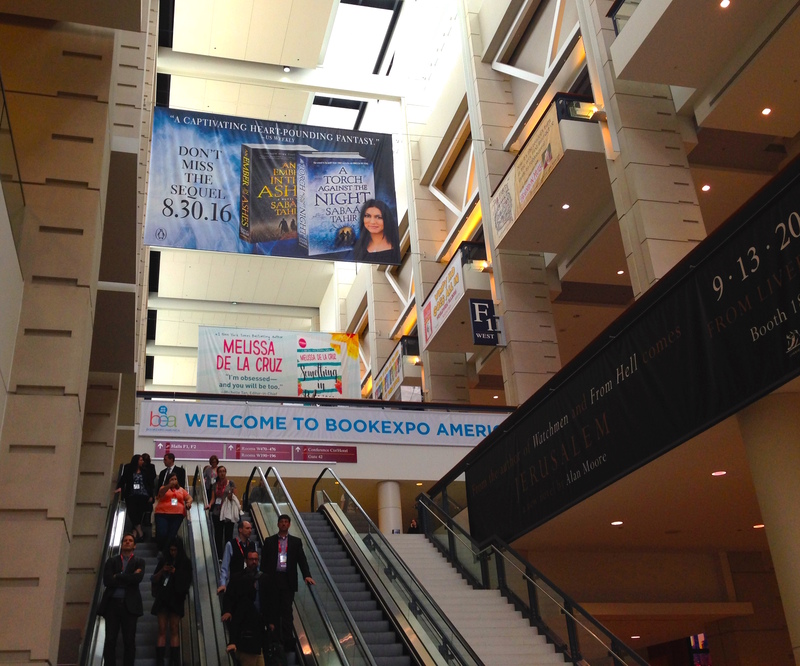 Last week I attended BookExpo America—the largest annual publishing industry trade fair in the U.S. With an attendance of nearly 20,000, it’s a monumental gathering of publishers, editors, agents, book sellers, librarians, authors, and others in the industry. BookExpo runs Wednesday through Friday, and then on Saturday the show opens to the public through Book Con, which gives book lovers a chance to meet their favorite authors, attend panels, and go home with a suitcase full of free advance reader copies (ARCs). What could be better? 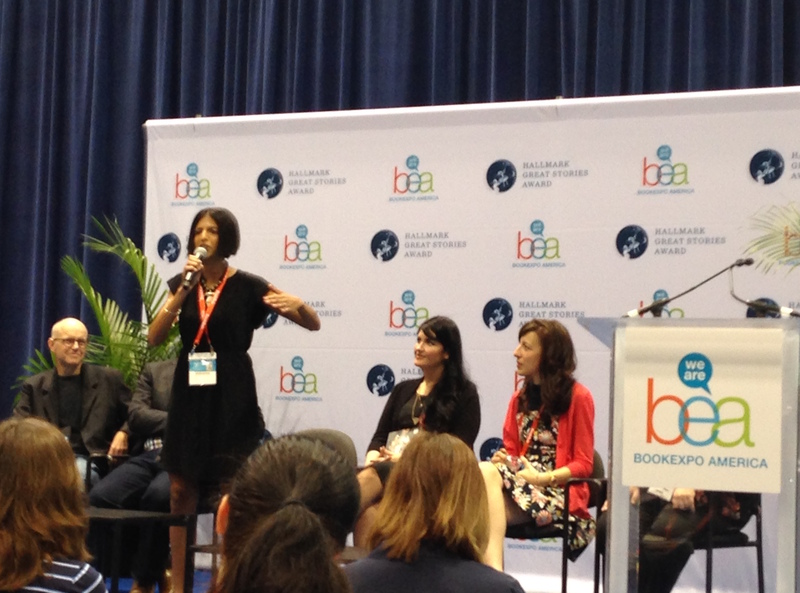 One of my favorite things about BEA is that it’s an opportunity to preview the titles publishers, agents, and booksellers are most excited about for the coming year. In this post, I’ll share a glimpse of those hot new trends. This year’s Expo took place in Chicago, after more than a decade at the Javits Center in New York. 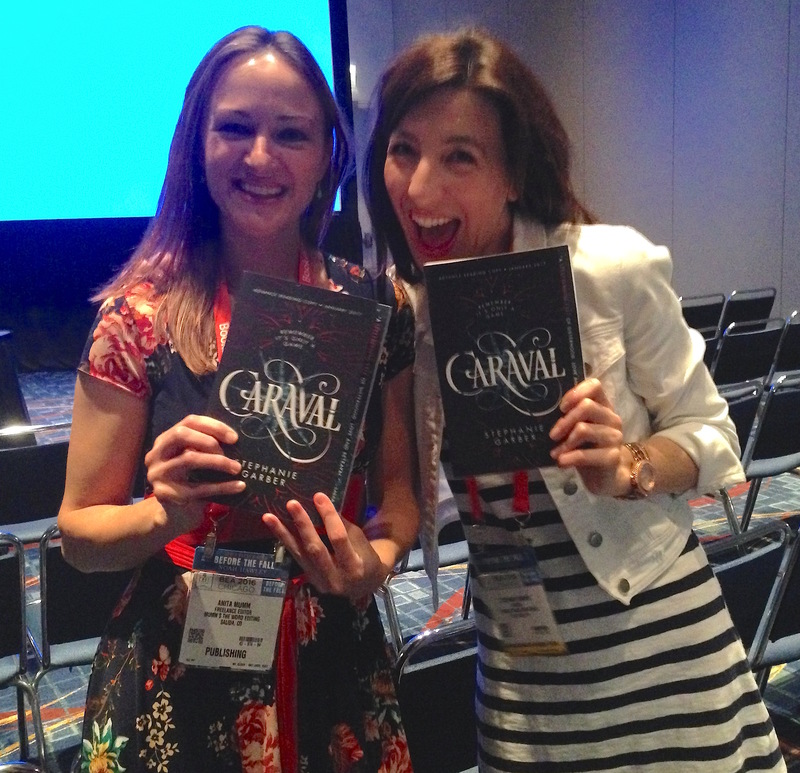 Reactions to the new location were mixed; some attendees pointed out that attendance was down slightly and that East Coast publishers sent fewer staff members and threw fewer parties (boo!). Others saw the new venue as a plus, since it drew larger numbers of attendees from other parts of the country than usual and brought in many first-time attendees (yes!). 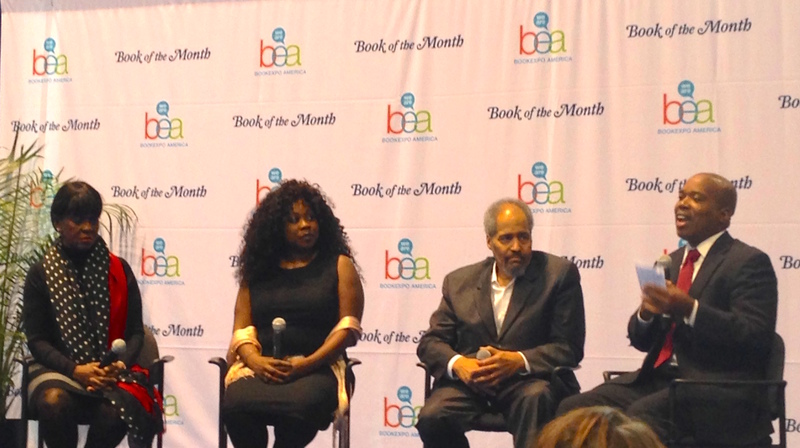 Personally, I love New York, but I enjoyed the energy and freshness of this year’s Windy City BEA just as much. I have to admit I’m particularly excited about that first title because I had the great fortune to work on it with Stephanie as she prepared to submit it to agents and publishers. Watch for its hardcover debut in January! Other upcoming YA titles that generated major excitement were Sabaa Tahir’s A TORCH AGAINST THE NIGHT (sequel to AN EMBER IN THE ASHES) and Laini Taylor’s STRANGE THE DREAMER. In adult fiction, a few of the hot titles featured were Coleson Whitehead’s THE UNDERGROUND RAILROAD, which he describes as historical fiction with “one degree of magic realism,” Jodi Picoult’s latest work SMALL GREAT THINGS, and Louise Penny’s A GREAT RECKONING, the latest in her Armand Gamache mystery series. Another title that caused a stir among booksellers was THE GIRLS, author Emma Cline’s debut about a teenage girl’s disastrous experience in a cult in the 1960s. Don’t miss your chance to download FREE excerpts from some of the titles mentioned here, and many other hot upcoming releases, in the Publishers Marketplace Buzz Book collections. A thread that connected many of this year’s panels and sessions was the continued need to bring diversity into our literature and the industry as a whole; yet great strides have been made. The team from We Need Diverse Books put on another fantastic panel about progress and continuing challenges (e.g. using terminology like “marginalized groups,” which connotes separation, not inclusion). In the panel “In Search of A Book Buyer: African American Women Top the List,” speakers addressed research that shows African American women represent the highest percentage of readers in the country, and how to authors can get their books into the hands of this audience. Regina Brooks, panelist and president of Serendipity Literary Agency, said, “My mantra is that as much as we need diverse books, we need people to market diverse books” (Publishers Weekly Show Daily: Day 2). 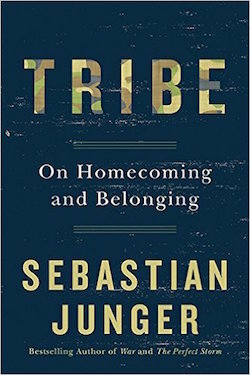 One idea that come forth was the importance of getting books into community gathering places e.g. community centers, churches, and salons. 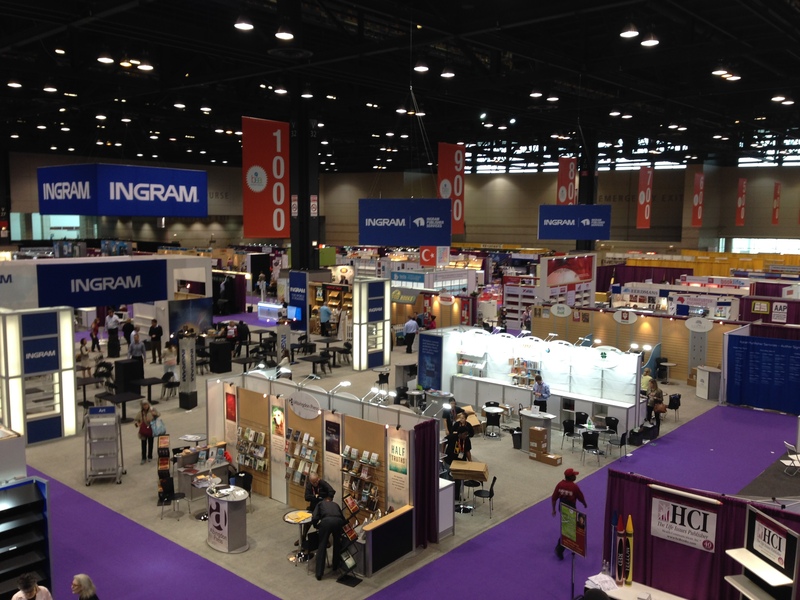 Another exciting aspect of BEA is its spotlight on indie authors through the UPublishU conference, held concurrently at the same location (McCormick Center). Speakers from Ingram Spark, Kirkus Indie, the Editorial Freelancers Association, and many others shared tips and best practices. Mark Coker, founder of Smashwords, presented his “Top 10 Trends Shaping the Future of Publishing” (visit the Smashwords website for Mark’s industry insights and resources). Want to see more fun shots of BEA? Visit my Word Cafe album on Facebook.